FastTrack can map OneDrive for Business as a drive letter without any user interaction, instead of forcing users to use the Microsoft OneDrive client. Users can then continue to use their personal documents as they were used to before the migration. This also preserves a lot of disk space, as users work directly on the cloud file storage. You can also map SharePoint folders as drive mappings. Please refer to this page for more information. For best viewing experience, we recommend full-screen view. Click the full-screen icon in lower right corner during playback. Once you click the button, you will see a pop-up. Here you must enter the tenant name from your Azure Active Directory. If you have correctly set up Single Sign-on (SSO) using Active Directory Federation Services (AD FS), the drive mapping will take place seamlessly. 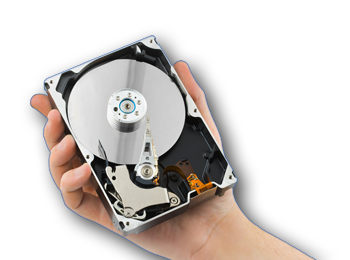 The user will not see anything and a few seconds after the Explorer starts, the drive will appear. If you have set up Pass-Through Authentication (PTA), the behavior is the same as with AD FS, when combined with Seamless Single Sign-On. The drive will map seamlessly without any user interaction. This Microsoft page named "Azure AD Connect user sign-in options" is good page to get an overall understanding og Azure sign-in options. If you do not have ADFS or PTA set up, the user must logon on to Office 365. When the user logs on, the Office 365 logon screen will appear embedded in the FastTrack GUI. If the user clicks "Remember Me", the user will not be asked for credentials again. If the user clicks cancel, there is no drive mapping and the user will be asked again at next logon. The WebClient service is required to be started for OneDrive/SharePoint resources to be mapped as a drive letter. On Windows 10, the WebClient will start automatically. On Windows 7, it does not. To make the mapping work on Windows 7, you must set a group policy preference. Locate Computer Configuration > Preferences > Control Panel Settings > Services and add an entry, as shown below. The service "WebClient" must be set to start automatically. OneDrive (personal) is Microsoft's free consumer-based cloud file storage service. OneDrive for Business is an integral part of Office 365 or SharePoint Server and is technically a personal SharePoint folder.